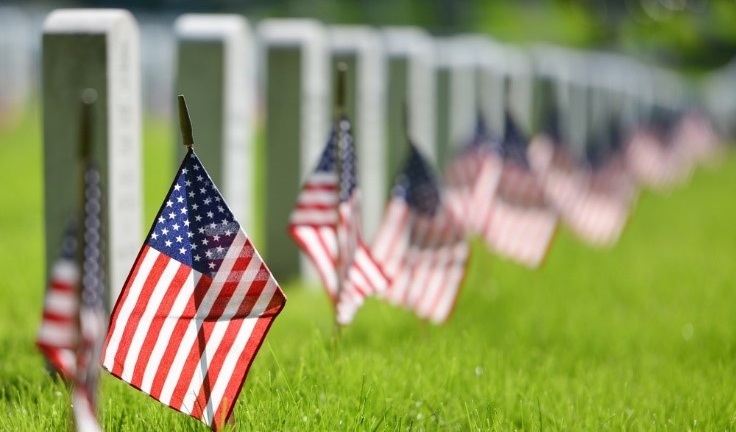 Editor’s Note: Memorial Day is an occasion for us to reflect on our great nation - and the men and women who have given their lives defending it. Today we wanted to remind you that our fallen soldiers didn’t make these sacrifices in vain. We think you’ll appreciate this essay on American greatness from Alexander Green. Originally written in 2012, it’s not at all surprising that it rings as true today as it did then. Of all the political arguments being made, perhaps none is sillier than the left/right debate about American exceptionalism. As every schoolchild knows, the United States has a unique history founded on principles of individual freedom. Our Declaration of Independence is a timeless statement of inherent rights, the proper purposes of government and the limits of political authority. Our core beliefs are enshrined in the Constitution and Bill of Rights, the longest-serving foundation of liberty in history. Our economy produces almost a quarter of the world’s wealth. The U.S. is the primary defender of the free world. Our nation plays an extraordinary role in world leadership. And the American people are the most hardworking, affluent and charitable in the world. Yet Washington Post columnist Richard Cohen calls American exceptionalism a “myth” and insists we should junk a phrase “that reeks of arrogance” and narcissism. Love of homeland is universal, of course. Yet the English writer Alexis de Tocqueville observed something distinctly different about us as far back as the 1830s. Americans pursue their economic interests with passion, he noted, but also enthusiastically form associations to take up public affairs and tend to the needs of their communities. Our nation’s growth and prosperity has been extraordinary, too. How did our small republican experiment transform and dominate global culture and society? Geography played a big role. Buffered by two oceans and a rugged frontier, we had plenty of cheap land and vast natural resources. Entrepreneurs were given free license to innovate and create. Profit was never something to apologize for. Rather it was viewed as proof that the businessman offered customers something more valuable than the material wealth they traded. We also opened our arms to tens of millions of immigrants who dreamed of a better life and helped to build this country. In the process, we developed an astounding capacity for tolerance. Today we live peaceably alongside each other, largely unperturbed by differences of religion or ethnicity. Compare this with Europe’s tragic history of massacres, pogroms, population transfers and genocides. Not that we don’t have plenty of blemishes of our own. At our country’s birth, Native Americans were ruthlessly subjugated, millions of blacks were held in slavery, and only white men with property were allowed to vote or hold office. In the years since, we have discriminated against minorities, fought senseless wars, meddled needlessly in other countries’ affairs and incarcerated a greater percentage of our citizens than any other country. Still, America is not just a nation, but an ideal. We often fall short of it, but we keep striving to fulfill that vision, to embody that founding creed of liberty and equality. I’m not suggesting that other nations don’t have proud histories, unique traditions or beautiful cultures. I am delighted when I get a chance to visit Vancouver or Buenos Aires, not to mention Rome or Paris. There’s a lot to love about day-to-day life in other countries. But people around the globe don’t talk about the French Dream or the Chinese Dream. Only one nation is universally recognized as the land of opportunity. Only one country attracts more students, more immigrants and more investment capital than any other. America cultivates, celebrates and rewards the habits that make men and women successful. It promises that anyone with ambition and grit can move up the economic ladder - that everyone has a chance to better his or her lot, regardless of circumstances. The notion that America is something very special is not, as some would argue, just a crude strain of patriotism. The United States embodies timeless ideals, an optimistic attitude, a can-do spirit and an enthusiastic endorsement of the pursuit of happiness through individual initiative and self-reliance. In this sense - among others - we are truly an exceptional nation.